BEIJING, March 21 (Xinhua) -- Chinese Premier Li Keqiang on Thursday stressed the implementation of larger-scale tax cuts to further boost the vitality of market entities. Li, a member of the Standing Committee of the Political Bureau of the Communist Party of China (CPC) Central Committee, made the remarks at a symposium held during his inspection at the Ministry of Finance and the State Taxation Administration. Vice Premier Han Zheng, also a member of the Standing Committee of the Political Bureau of the CPC Central Committee, attended the symposium. China's tax and fee cuts will bring benefits to the country both in the short and long term, as it not only reduces corporate burden and helps stabilize employment but also optimizes economic and income distribution structure and promotes sustainable fiscal spending, Li said. China should accelerate the implementation of tax cut measures to further unleash the vitality of companies, which will help the economy keep running within a reasonable range and promote high-quality development, Li said. Li said that this round of tax cuts must ensure that the tax burden on major industries such as the manufacturing sector is decreased significantly and lowered to various extents in some industries. The government will work out targeted solutions to solve potential tax burden rise as a result of a decrease in input tax deductions in some industries, Li added. Li said the government must live on a tight budget to support the tax cuts. Except for those projects that must be done and key programs, the central fiscal authority will cut its expenditures by 10 percent, Li said. Local governments should also resolutely cut general expenditures and improve the efficiency of existing resources, Li said. The central government should increase the transfer payments to local governments, especially the fiscal authorities in the central and western regions. "The tax cuts will be effective only when the market entities enjoy the concrete benefits," Li said. 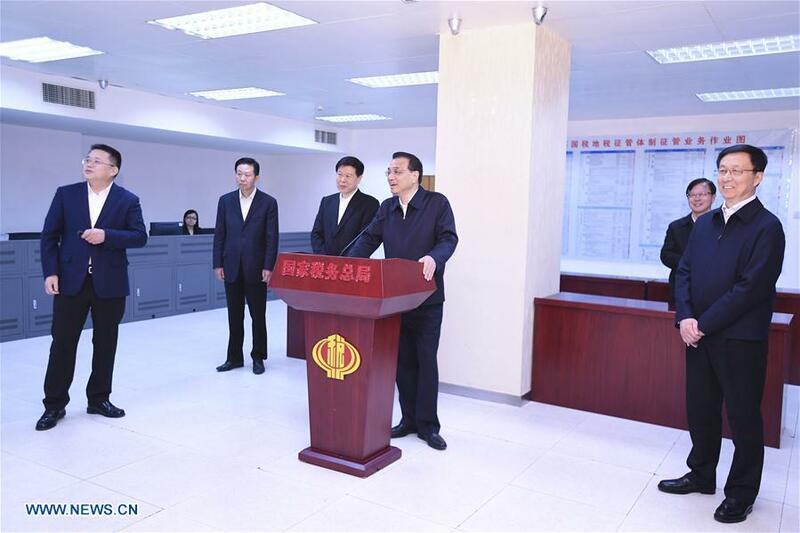 Li said that all regions and government departments should strengthen coordination to tackle the issues reported by companies and the people in a timely manner.